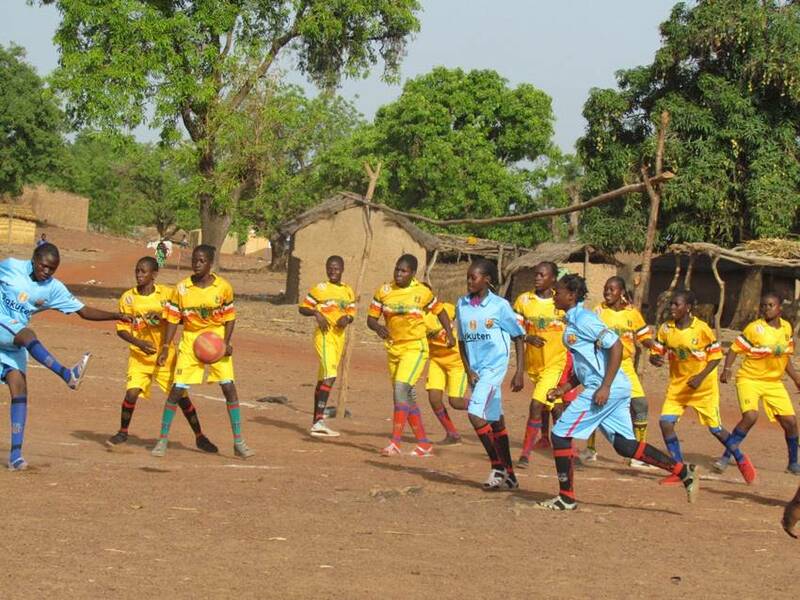 Simidjila's Girls vs. Beneko's Birds: Girls Soccer! We love gritty girls. Gritty, you say? Yes! Grit, leadership skills, teamwork abilities, and self-confidence are critical traits for strong kids. 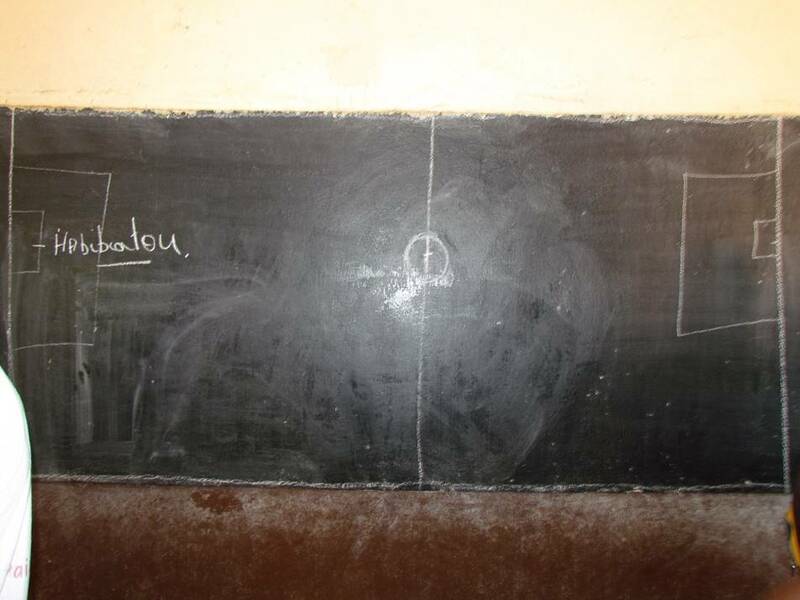 These traits are especially important for girls in Mali, who must overcome many obstacles to get the education they deserve. Thanks to our donors, we support the development of all these traits through participation with our new girls' soccer teams. 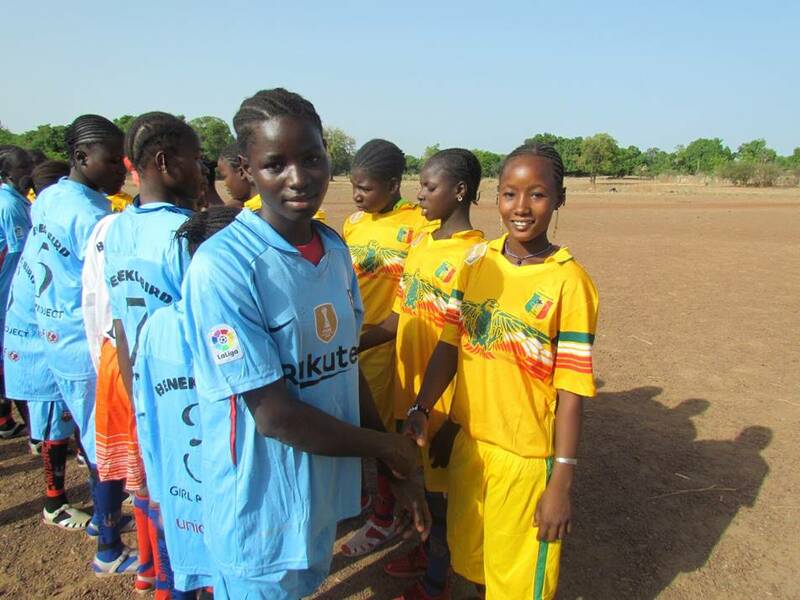 The teams are a new component in our wildly successful Girls Project. 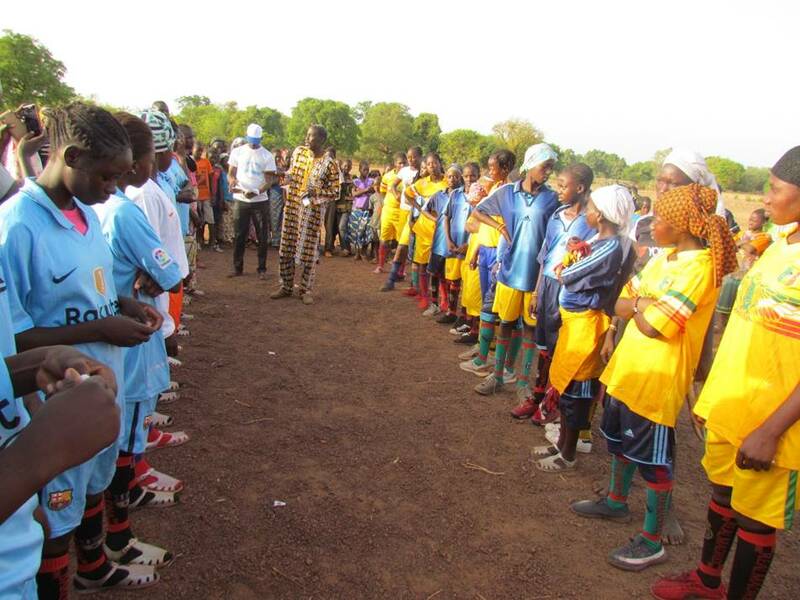 Participation in sports builds girls' leadership skills and self-confidence, and has been shown to increase school enrollment and improve attendance. Simidji's girls' team gathers for their road trip to Beneko. Simidji's girls mingling before their road trip. A few happy members of Simidji's team. 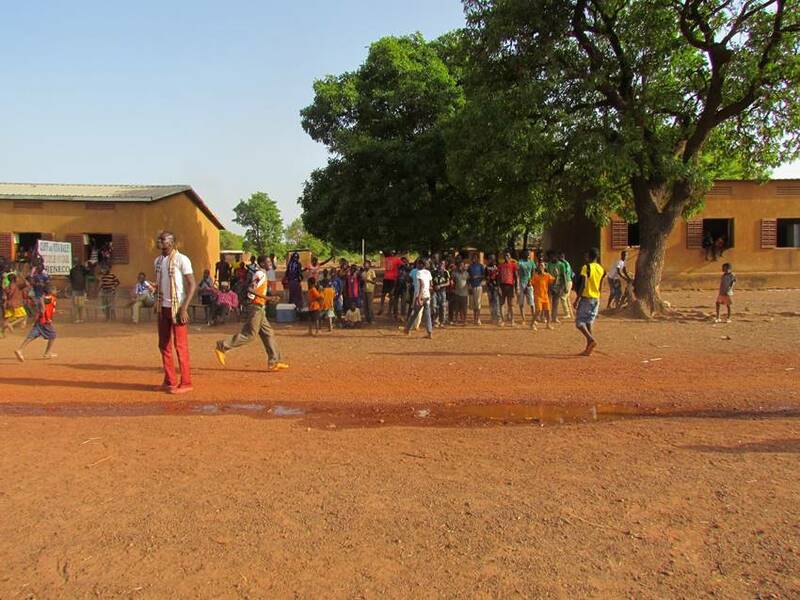 ...and lower the school's Mali flag. Beneko's team welcomes Simidji's team to Beneko. Beneko's Birds ready to play. A little pre-game huddle for Beneko. And the same for Simidji. 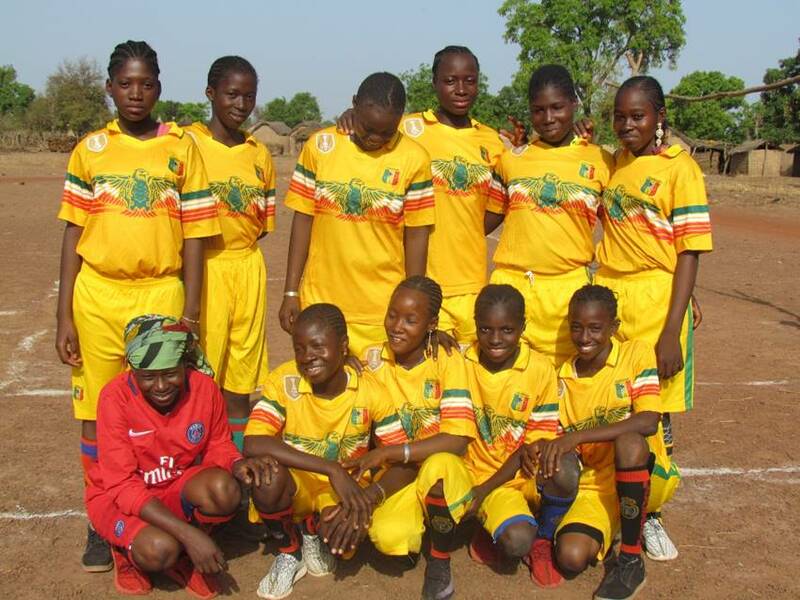 The two girls' teams together on the field and ready to play! Just part of the big crowd cheering our girls on. A break in play, complete with a rousing speech. Another part of the happy crowd. The girls are congratulated by leaders. Teams congratulate each other on a well-played game. The Beneko girls graciously invited the Simidji girls to share the honor of lowering the school's flag after the game. Sharing the honor of lowering the flag. 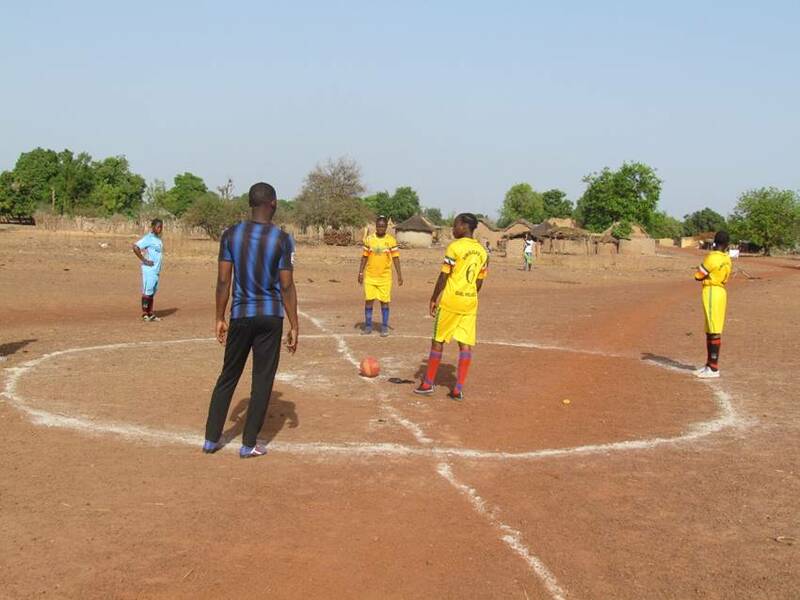 This week, two of our pilot teams met for the first-ever, inter-school Mali Rising soccer match. Facing off? The Simidjila's Girls and the Beneko Birds. The Girls are from Sue Chung Chiu Middle School in Simidji while the Birds come from Cliff and Nita Bailey Middle School in Beneko. The teams played a hard fought game in front of a large and excited crowd. In the end, the score was Simidjila's Girls: 1 Beneko's Birds 0. But -- as they say -- everyone really won in this game. All the girls played hard and showed off both their grit and their team skills. The girls displayed their strength in front of a huge crowd -- inspiring other girls, demonstrating their skills to the boys, and showing their parents just how strong they really are. Interested in supporting the Girls Project? The girls would love your help! 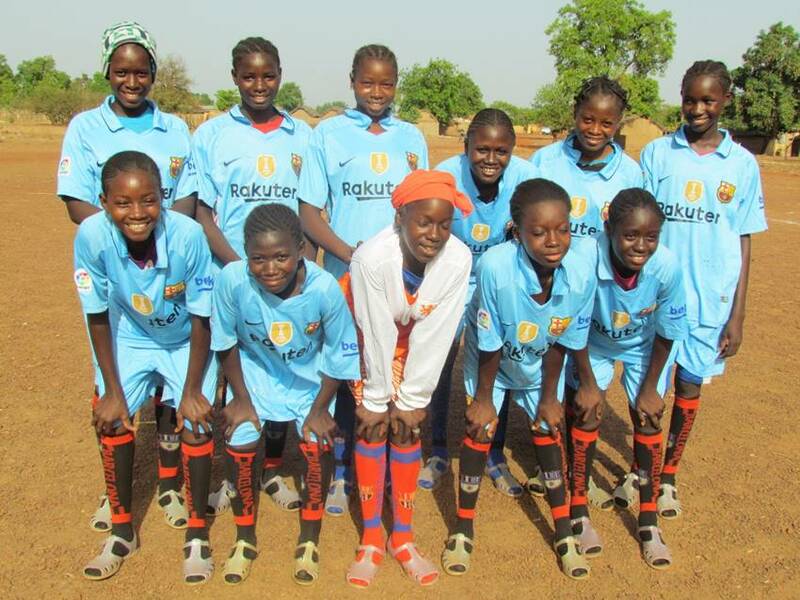 Click here to support the Girls Project or the soccer teams specifically.